By Mari-Etta Parrish R.D., CSSD, L.D.N. Got to pick up the kids at 3p.m. and be at the game by 5p.m? Won’t get home until 8p.m.? Wondering what to do about dinner? Figure it will be fast food again? Fueling and re-fueling with fast food is almost never a wise choice. As a pre-fueling option, it may make your child sluggish in their sporting event or cause stomach upset. Following their event, fast food is unlikely to provide the nutrients your athlete needs most to recover. Also, fatty food, that close to bed time, may interrupt their sleep, which is crucial for growth, muscle repair, and good grades! Here are some meal alternatives that with little planning, can be quickly prepared for your athlete and family and will ensure your child is fueled to play their best, and re-fueled to optimize their recovery and health. If you are fortunate enough to live close enough to the school or sport venue to be able to run your kids home after school, you have many great options for a pre-event meal. A bowl of minestrone soup with crackers or a bowl of low-fiber cereal with skim milk, are great high carbohydrate and easily digestible options. Keep in mind, that if you have less than an hour before activity begins, it may be wise to avoid the dairy. When you do not have time to eat at home prior to the game, plan ahead and pack small meals for each child. A peanut butter and honey sandwich with a banana would be well tolerated, a great energy source, and can be packed several hours ahead of time. An apple, crackers, and low-fat string cheese can also be easily packed ahead of time. 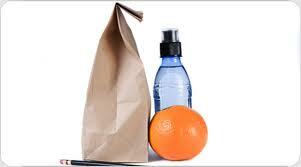 Be sure to also pack filled re-useable water bottles or another low sugar fluid to accompany their meal. Following the game or event, it is ideal to have a light dinner prepped and ready to be eaten as soon as you walk in the door of you home. If you have looked at the schedule ahead of time and matched crock-pot meals to those nights, your family will be delighted to arrive home to the aroma of a hot cooked dinner. Vegetarian chili (see recipe below) and cornbread is an excellent choice to refuel your athlete with ample vitamins, anti-oxidants, carbohydrates, and protein. If you pre-cut vegetables or use frozen, a stir fry with chicken strips can be created in the amount of time it takes for “minute” brown rice to boil or your kids to get their dirty uniform off. The key to success here is being sure you have looked at your schedule ahead of time, matched dinner ideas to the time you have around those days, and going to the store so that all ingredients are on hand. Especially if you have more than one child, playing multiple sports, it is well worth the pre-planning and preparation time. After all, you are trying to raise a “healthy” and active child, and fast food several nights a week due to activity, negates those intentions. Combine all ingredients in a crock pot or slow cooker. Cover and cook on low for 6-8 hours. *Can use the frozen pre-cut variety of these vegetables to save time. As I boarded the plane today, I couldn’t help but notice that an entire college basketball team was boarding the plane with me. Nor could I ignore the fact that most of them had chosen Burger King for their breakfast choice (French fries included at 9am!). My immediate thought was to shake my head and say to myself, “Champions don’t eat French fries for breakfast!” My next thought was to remember what I ate as an athlete in college. Although my diet seldom contained fast food even then, I certainly consumed my fair share of non-nutritive food that did nothing for my body or sport performance. That was partly due to the fact that socialization and budget restraints often called me to indulge in late night cheap and fatty foods. But it was more so because I did not know better. Unfortunately, many young athletes are unaware of how much what they choose to eat affects their performance. Sports nutrition was practically unheard of in my days as a middle school and high school athlete. It was when I was in college that Powerbar introduced their first power gel and their second sport bar, which required at least 40 chews per bite and a gallon of water to wash it down. Needless to say, Sports Nutrition as a science has evolved as far as knowledge of how types of food, their quantity, and timing can promote performance. As and industry, Sports Nutrition has exploded. Because of all the marketing and new products made to fuel sport performance proper sports nutrition is no more understood than it was 20 years ago when information and product were scarce. In a country where sport performance is prized as much or more than education, it is surprising that more athletes have not tapped into the power of sports nutrition. Training without fueling properly is like going hunting without any ammo. It negates the purpose. Proper sports nutrition has been shown to enhance performance more than any ergogenic aid (a supplement that allows you to perform at a level greater than what training alone can provide) on the market. If sport performance is important to you or your child take advantage of the wealth of accurate evidenced based information that is now available for sports nutrition. Here are 3 links to help you learn how to eat like a champion! It is finally Football season again. As a parent you may be thinking about tailgating, fresh fan gear, and watching your child tackle or touchdown. Likely you are also fretting about how you will manage the logistics of afterschool snacks, getting to practices and games, and quick dinners for the next four months. Meanwhile, chances are your child football athlete is thinking about how he can get bigger, stronger, and have a superstar season. Your son is more likely to listen to his teammates or icons for tips on how to achieve this, but as a parent it is ultimately your responsibility since you will be providing his nourishment. To “bulk-up,” a balance of increased exercise and increased calories must be achieved. Since the coach is taking care of their training plan, the athlete must focus on increasing his food consumption at a rate that out paces his energy expenditure on and off the field in order to put on weight successfully. This can be especially challenging for some young men as they are still growing. When you combine increased calorie needs for continuous development, two hours or more of exercise daily, and a desire to get bigger, daily calorie requirements may be in excess of 4000 calories. Now you may understand why you feel like your need another part-time job to prevent your child from eating you out of house and home. Not to mention, it takes an excess of 3500 calories to equal one pound of weight gain. Putting on weight truly is as simple as eating more calories than you use each day. No special protein powders, supplements, or magic mixes are necessary. Football athletes can bulk up just by eating more food, and a lot of it. it use more than ten percent for energy ever, it will be stored as fat. Excess fat mass is especially problematic if your football athlete does not continue to play football after high school or college. Studies show they are more likely to maintain that excess mass, which may contribute to obesity and increased risk of hypertension and diabetes. Football athletes in season have the highest need for carbohydrate to meet their energy needs and to fuel their performance. 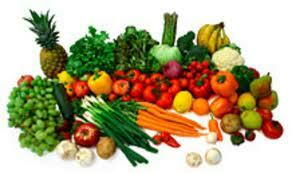 Remember, fruits, vegetables, and low fat dairy are carbohydrates. These nutrients are often overlooked when it comes to “bulking up.” Not only do these carbohydrate sources efficiently fuel your athlete’s performance, they provide the necessary vitamins and minerals that are necessary for muscle growth. 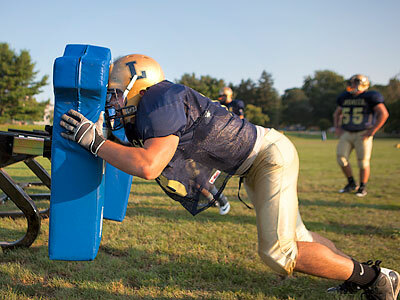 Use the “Plate Method” to keep your football athlete’s meals balanced. The “Plate Method” calls for one half the plate to be fruit and/or vegetables, one quarter lean protein, and one quarter starch. Increase portions of all areas of the plate, in the same ratio, to increase calorie intake and to successfully help your son gain the healthy weight he desires. Often it is challenge enough just to get your kids to practice or their sporting event on time, let alone think about preparing a snack for them. During the school year, many parents resort to driving thru a fast food establishment to grab something quick and something they know their child will like on the way to practice and games. Energy bars are another quick and convenient option often utilized for fueling children prior to their activity. While it is a good idea to be sure your children aren’t exercising on an empty stomach, it is also important that you choose food your child can actually use for energy during their sport. A regular balanced meal can be consumed three to four hours prior to event start. If you have less time than that before exercise commences, a smaller snack would be better. Be sure the snack choice is high in carbohydrates, moderate in protein, and low in fat and fiber. Carbohydrates are our body’s main fuel source. Protein cannot be used for energy and fat delays absorption of energy rich carbohydrates, which may cause stomach distress while exercising. The closer you get to activity starting time, the smaller the snack should be, and the lower in protein and fat it should be. A banana with a cup of water 30 minutes prior is a perfect example of a good pre-fueling snack choice. Choose whole foods that aren’t processed when you have the opportunity. A bunch of grapes, baggie of dry cereal, dried cherries, or half of a PBJ can be as easily packed as an energy bar. When necessary, use convenience foods in place of driving through to pick up a snack. Appropriate convenience foods may include, a couple Fig Newtons, a small granola bar, a small juice box, or Goldfish crackers. Many of these items can be quickly found in a convenience store if you are on the go. Be sure to include fluids as part of the snack. Fluid is as important for your child’s performance as carbohydrates. Dehydration is the number one cause of fatigue. Avoiding dehydration during exercise begins far before the game or sport starts. Water is the ideal choice of fluid to meet their needs. Your child should have 1-2 cups of fluid within an hour before they begin their activity. 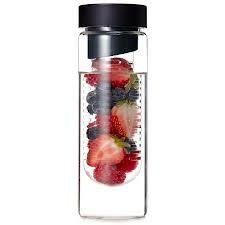 To encourage them to get all of this fluid in, you can certainly choose sugar free flavored waters. drinks during sport or outside of sport contribute to obesity and tooth decay in your child. For long and strenuous sports like soccer, football, or basketball, sport drink is likely necessary and an additional snack at half time or during practice breaks may be helpful. Again, if practice or games last one to two hours or more, carbohydrates and electrolytes in the form of food or fluid should be supplied. The reason for this is that the muscles and liver, which store carbohydrates used for energy, typically cannot store more than ninety minutes worth of fuel. You do not want to wait until fuel stores fall to empty to begin re-fueling. Doing so would cause unnecessary fatigue and a dip in performance. It is what some athlete’s call “hitting the wall.” To avoid this, carbohydrate should be consumed before an hour of exercise passes. Thirty to sixty grams of carbohydrate should be consumed every hour during endurance sports to sustain energy levels. This amount of carbohydrate is best tolerated if consumed in several small amounts spread at regular intervals over each hour of play. Sideline dashes for sport drink can easily satisfy this guideline. If only water is consumed during play or if athletes don’t have time for adequate sport drink while playing, a high carbohydrate snack at half time should definitely be consumed. Melon, bananas, crackers, or cereal bars are great half time snacks. Fluid should be the focus for fueling your child’s performance during sport. Not only should the appropriate water and/or sport drink be supplied, intake of them should be encouraged. Most athletes do not drink enough fluid while exercising to prevent dehydration. The goal of hydration is to match the amount of fluid lost via sweat. You can actually weigh your child before and after exercise to find their sweat rate and help them hydrate better (more appropriate for high school athletes and their coaches). Sixteen ounces of water is equivalent to one pound. One to five pounds of sweat can easily be lost within an hour of exercise. The longer, hotter, and humid practice or event conditions, the more fluid an athlete needs to drink. Also, generally, the larger the athlete, the greater their fluid needs. The American Dietetic Association and the American College of Sports Medicine recommend the individualized approach of matching fluid intake with sweat losses, but also generally advise athletes to drink six to twelve ounces of fluid every fifteen to twenty minutes, as tolerated. Encouraging liberal intake of appropriate fluids keeps your child athlete hydrated, fueled, and energized for optimal performance. 2. ADA and ACSM Source: http://www.acsm.org/AM/Template.cfm? After exercising, your child should feel invigorated by their endeavors, not washed out and run down. By helping them get the right nutrients at the right time following their practice or event, you can help them recover more quickly, reaping the full benefits from their exertions. A majority of time, the most important nutrient you should encourage post-exercise is ample water. This should be followed by refueling energy stores with a balanced meal. 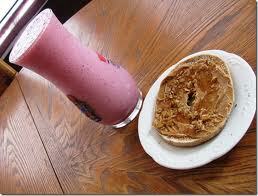 Occasionally, a special recovery drink or snack immediately following exercise is appropriate. Replacing fluids lost through sweat is top priority for recovery. Water is the best choice. Because the amount of fluid needed is likely to be in excess of sixteen ounces, consider making fluids with flavor available. This encourages athletes to drink more. Chilled beverages after exercise are also more generously consumed and are favorable. Consider bringing a small cooler packed with chilled water bottles and various flavor packs so that your athlete can begin rehydrating as soon as their event ends. Fluids increase blood volume and help circulate water and other nutrients needed to lower the body’s core temperature quickly and return it to homeostasis. Practice and sporting events usually are during or just before regularly scheduled meal times. This makes re-filling energy stores natural and easy. Aside from meeting fluid needs, eating a regular balanced meal within two hours of finishing exercise is adequate for restoring energy needs. A balanced meal should include fifty percent produce (fruit and/or vegetables), one quarter lean protein, and one quarter starch. This ratio of food is optimal for providing the right amount of every nutrient your child needs to repair and strengthen muscle tissue. It is rare, but sometimes an additional recovery drink or snack is necessary for optimal recovery. The circumstances that would necessitate this are when your child practices or performs for more than two continuous hours. Then for ideal recovery, a liquid that is high in carbohydrates and contains ten to twenty grams of protein should be ingested within thirty minutes of completing their activity. This is where low-fat chocolate milk has risen in popularity. Low-fat chocolate milk is an excellent choice for providing lots of carbohydrates and just the needed amount of protein with the proper amino acids required for recovery. Fruit and yogurt smoothies are another great recommendation to meet recovery needs. Engineered or processed recovery drinks are available for purchase at the grocery or sporting good store as well. However, research as proven yet again, that man cannot make something that meets our nutrition needs as well as what already exists in nature.